The University of California, Irvine hosts the annual international student college fair, Tuesday, September 25 at 2 p.m. The event will host opportunities to speak with college representatives from all UC campuses, selected Cal State universities, community colleges, and private four-year universities. College representatives will provide helpful tools and information to international students about their campus, application process, scholarships, visa processes, and more. For those interested please contact Carolann Zuck in the JSerra International office or at chuck@jserra.org. Sign ups also available at http://www.admissions.uci.edu/internationalcollegefair. The JSerra Business Magnet program is half way through it’s inaugural year and has already opened an on-campus student run store, designed a spill-proof liquid container for the school, attended multiple seminars and conferences among many other great accomplishments. The Business Magnet program had the honor of hearing speakers share their knowledge and experiences this year, but the program has also attended a seminar at University of California, Irvine last November hosted by Bixby Land Company President and Chief executive, Bill Halford. UCI Paul Merage School Of Business was so impressed by the students at the seminar they have been invited to another seminar with speaker Jim McCluney, Chief Executive Officer Emulex corporation. The Business Magnet Program students will be visiting Fullerton College March 3 to participate in the Future Business Leaders of America Southern Sectionals competition. Many of the students are taking exams on business topics of their choice and many others will be doing co-op test where multiple students will work together on a range of topics. Junior Max Palmer and senior Cody Dupuis will be competing in the Global Business group testing. 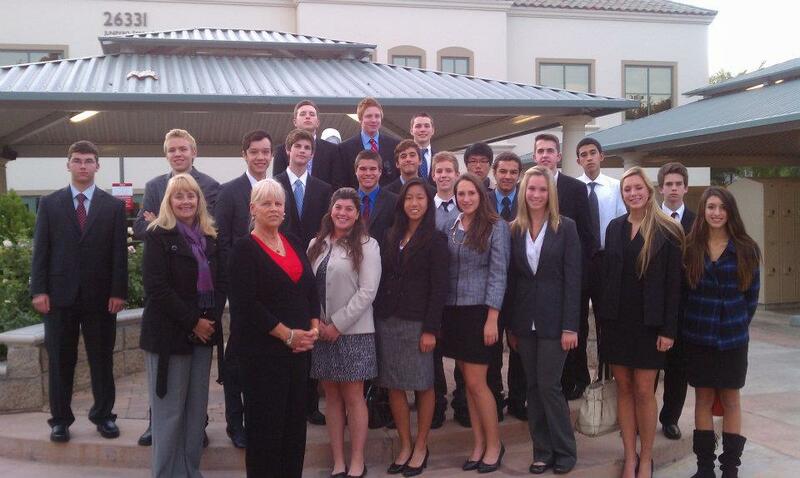 “We are excited to put the knowledge of ours together and the things we have learned in our intro to business course. We plan on making it to Nationals together and expect great success from our classmates as well,” said Palmer and Dupuis. 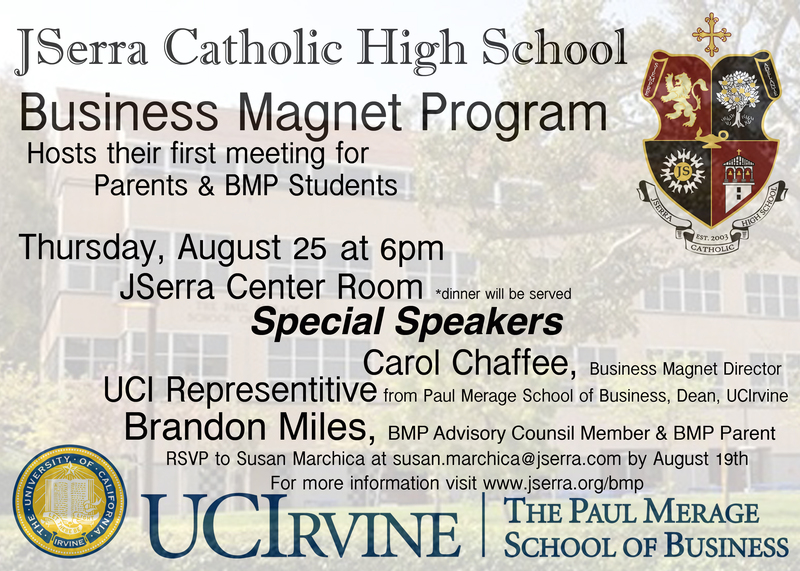 For more information on JSerra Magnet Programs click here.